Why we’re passionate about school. "We are happy to be working with Third Space as part of our 6th Form enrichment programme again this year. Their flexible approach allows us to work together to design sessions that suit our needs and their speakers are engaging and professional in their approach." Adolescence is the third of six extraordinary human life stages and is the transition into adulthood. Third Space supports young people through this time of growth and change physically, mentally, socially and spiritually. Emotional intelligence is understood to be a better predictor of success in job performance than IQ and there is a need to provide more support for this area of social development and learning. 25% of young people suffer from emotional, behavioural and mental health problems that can be diagnosed. Third Space aims to raise awareness of mental health and support early interventions. Faith can enrich life with resourses for hope, love and learning. Third Space supports young people in choosing a belief in God. We offer a number of different work experience opportunities through our cafe and social media programme. We have a team of experienced schools workers who are able to deliver in-school sessions. As Christians we believe that when we pray God hears us and responds. We also believe that one way we can support each other is to pray for one another. 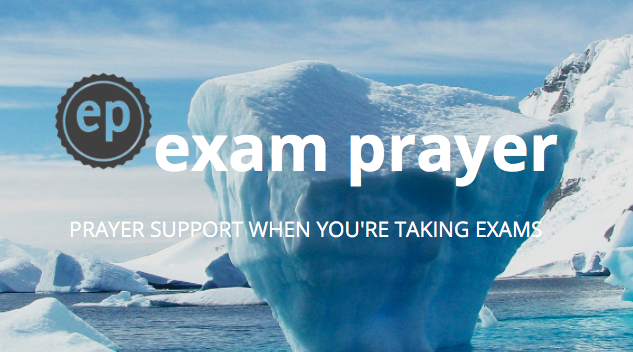 We would love to pray for students as they do their exams. We've been privileged to work with High Schools across Bolton including; Bolton School, BSCA, Canon Slade, ESSA, Firwood, St James, St Joseph's Horwich, Thornleigh & Bolton College.